This past Thursday was our last market day for the season – and what a day it was! We set out a lean market display. Hot peppers, walnuts & mini calico corn stayed in the van. We knew they would blow away. Squash, cabbage & pears were weighty enough to withstand the gusts! No signs or pricecards, recipe booklets or anything that could not be secured. But sales were good! Many of our regulars braved the gales to purchase that last basket of pears or stock up on squash. Some came just to say good-bye, wish us a good winter, and thank us for coming to Toronto with our produce. We even sold out of hot peppers & walnuts! 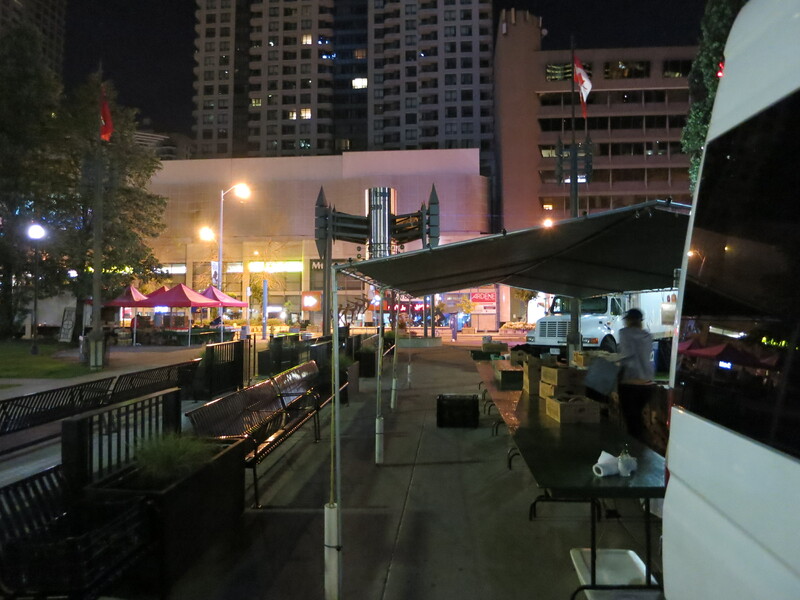 Setting up in the dark at North York – a few weeks ago. Our market season began in spring with uncertainty. We decided to drop 1 market, anticipating a smaller fruit crop due to damage from the cold winter. It proved to be the right choice. Our crops were indeed lighter & we would not have had enough fruit for all the markets & our CSA. Strong sales – our sales were up over the previous year. Vendors at other markets also reported increased sales. Flavour – week after week our customers raved about the outstanding taste of the fruit & vegetables this season. We are thankful for lots of sunshine & timely rains on the farm which were the main factors responsible for this great flavour. Good weather – while showers & rain were in the forecast many market days, the precipitation often waited until we were driving home. There was very little rain during market hours. Safety – we are very thankful for a safe & accident-free summer on the roads, at the market & at home on the farm. 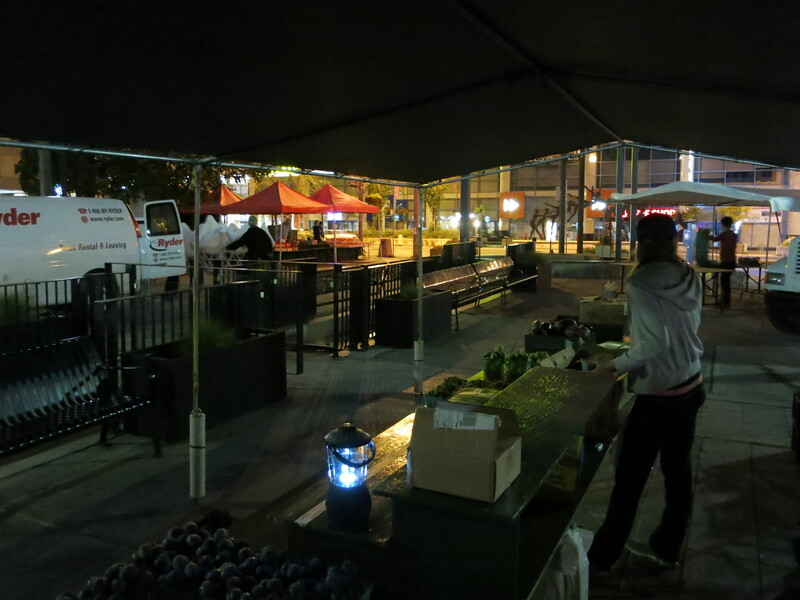 Great customers – we have so many regular customers who support the markets and all the vendors each week. Your appreciation & encouragement make the markets worthwhile and the comments & critiques make us better growers.